MERRY CHRISTMAS & A BLESSED AND HAPPY NEW YEAR! Welcome to the new version of IWGAC! Disney Pooh and Classic Pooh Around the House Ltd Ed. 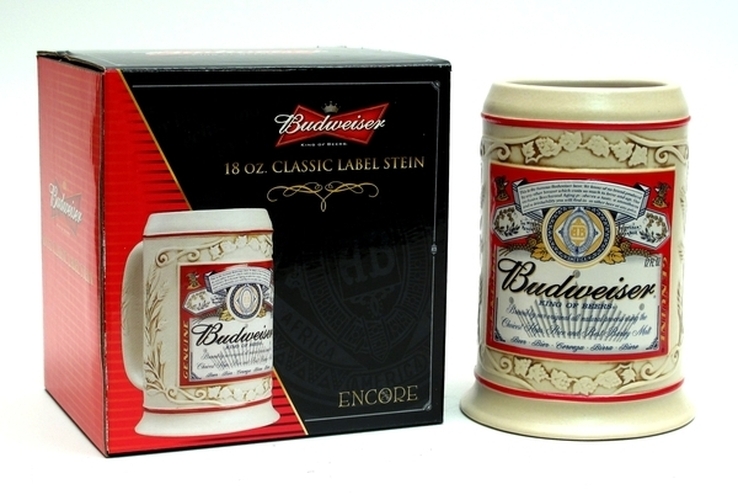 Budweiser 18oz Stein comes in collectable gift box. Measures 5.5"H x 5.75"W x 4"D. Ceramic. © 2004 - 2019 IWGAC.com.